Being a lifelong fan, the news of the Peanuts Gang returning to the big screen was both exciting and scary. Exciting because the timeless characters created by Charles Schulz definitely deserve a big screen adventure. But scary because you can never be too sure how “modern” versions and updates to classic stories and characters will turn out. Fortunately, the team behind The Peanuts Movie (which includes Charles Schulz’s son and grandson) made it a top priority to remain faithful to ol’ Sparky’s original vision. And they succeeded. 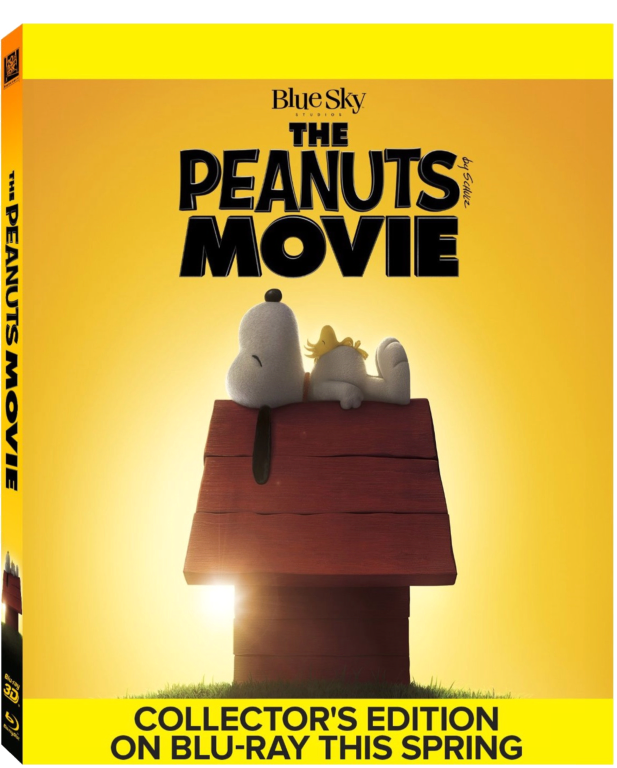 The Peanuts Movie captures the essence of the original comic strips and all the various TV specials and movies while still feeling fresh and contemporary. The film focuses on Charlie Brown trying to muster up the courage to talk to his crush, the Little Red-Haired Girl, who has just moved into the neighborhood. But his penchant for clumsiness and bad luck and the reputation that comes with it discourages him. Upon the advice of Lucy, Charlie Brown works to build up his confidence in various ways. Meanwhile, Snoopy is his ever-imaginative self as he faces off against the Red Baron while also supporting Charlie Brown in his efforts. Storywise, the film takes one of the main threads of the original strip and various specials and uses it to reintroduce old and new fans to the world of Peanuts. Charlie Brown’s crush of the Little Red-Haired Girl helps establish him as a character and the overall dynamics of the Gang. But it doesn’t solely define him, which is why the last act of the film is more than satisfying. Charlie Brown has always been described as a “lovable loser.” And the film certainly does not suddenly make him some confident hero. In fact, part of the film focuses on how the idea of such a thing would feel so foreign and strange, especially to Charlie Brown himself. Charlie Brown is indeed ultimately a good man. For what he lacks in self-confidence, he makes up for with the love and care he shows his sister Sally and Snoopy. And while he may fail many times, he can still be hopeful. Though while the film is successful in most ways, it’s certainly not perfect. The focus on Charlie Brown and the Little Red-Haired Girl maybe took away some opportunities as well. 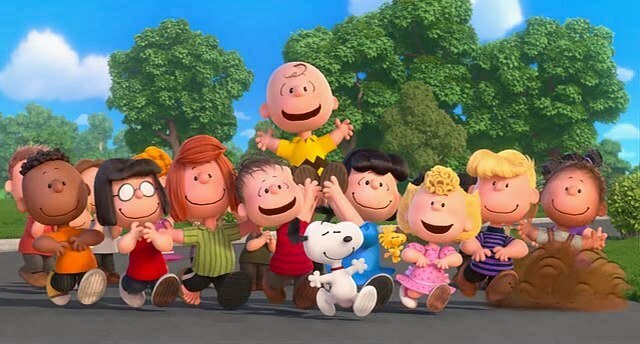 Charlie Brown and Linus’ friendship is barely noticeable and Lucy is basically relegated to being the leader of the “mean girls.” One hopes that the Van Pelts as well as the other familiar characters get more screentime and more story in future movies. But we do get to meet the other children. All familiar faces for anyone who’s read or watched Peanuts in the past. Music was always a huge part of what made the TV specials and movies so enjoyable. Vince Guaraldi helped guide the memorable sound of Peanuts. And for the film, Christophe Beck has been able to add new pieces that fit perfectly side-by-side with Guaraldi’s iconic score. But the modern pop songs by Flo Rida (used in a scene) and two originals by Meghan Trainor (including the theme which is also used throughout the movie) absolutely felt out of place and at times, clashed with the Guaraldi-inspired score. While it is unfortunately unavoidable since a catchy pop song needs to be used to promote the movie (It’s a “big commercial racket!”), one wonders if they couldn’t have found a jazz-inspired pop song that is more in the traditional vibe of Peanuts. Still, The Peanuts Movie is that good that you can overlook these missteps. The battle between hand-drawn animation and the now standard CGI continues in the industry and amongst audiences. So the idea of taking the iconic hand-drawn work of Charles Schulz and turning it into a 3D computer animated film was another worry and likely a daunting task. But the transition was absolutely successful and the result is stunning. There was obviously great care in recreating the warmth of the original comic strip and TV and film animations while updating the visual style to a modern template. That they were able to do it here is a major accomplishment. 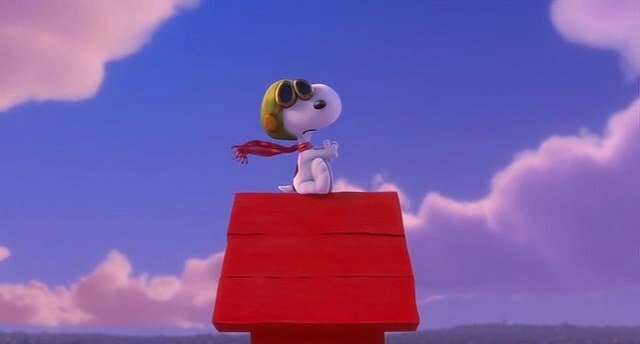 And the contrast between the grounded, more traditional scenes and the grander scope used for Snoopy’s flights and battles with the Red Baron is particularly breathtaking. A work such as Peanuts carries a sense of nostalgia with it. And the use and inclusion of iconic Peanuts dialogue, locations and scenes as well as “modern” technology like rotary phones and typewriters provide that bit of sincerity and heart for both young and old fans that any film needs. And here, all of that is used to remain true and faithful to characters that millions have loved for decades. Overall, The Peanuts Movie is a film that Charles Schulz surely would’ve been happy with and proud of. It’s a film that longtime Peanuts fans should love. And it’s a film that successfully reintroduces the colorful and thoughtful world of Charlie Brown’s neighborhood to brand new audiences. Here’s hoping this is the beginning of a long, successful franchise return to the big screen. And to the continued timeless appeal of Charlie Brown, Snoopy and the rest of the Peanuts Gang.